Although she accomplished so much of which to be proud, there was no greater joy in the life of Carolyn Virginia “Ginny” Coady than the family she treasured more than life itself. She was a humble, compassionate, and generous woman whose zest for life was contagious to all who were near. 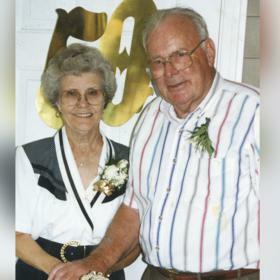 Ginny was blessed to share more than 70 years with Maurie, and together they witnessed their family tree bloom to include children, grandchildren, and great-grandchildren who were her entire world. Life will never be the same without her here, but she leaves behind a brilliantly colored mosaic of memories that her friends and loved ones will forever hold near and dear to their hearts. 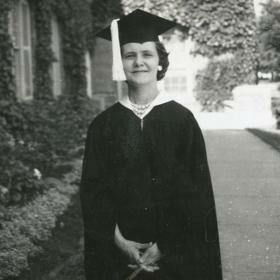 Born and raised in Harvard, Michigan, Ginny was a young girl of her generation. Their small town, located in the rolling farm country of Kent County, had a population of just 44. Ginny’s father owned and operated Greenville Construction while her mom stayed home and ran the household. She had one brother, Scoot, who was two years older. Ginny always loved bragging about how she could “handle” her brother and she claimed he was scared of her. Living on the family farm made for a fun childhood growing up. It also meant they always had plenty to eat, which was rare for most families during the Great Depression of the 1930s. Ginny had a pony named Molly that she loved, and she also had two great childhood friends, Edna Mae and Ruth Ann. These friendships lasted a lifetime. Her parents loved her dearly, but Ginny grew up having to “tow the line.” Her mother’s favorite saying was, “Get yourself up out of bed and get your blood moving. The morning is the best part of the day.” Ginny attended local schools and graduated from Greenville High School. From there she immediately began working as a secretary for the Gibson Company where they manufactured the first electric refrigerator. New and exciting changes were in store for Ginny when she met the young man of her dreams. His name was Maurice Coady, and he was a handsome young serviceman who had just returned home from the war. They met because he had relatives who lived across the road from her family farm and it didn’t take the young couple long to fall deeply in love. With a desire to spend the rest of their lives together Ginny and Maurice were married on July 16, 1946. The newlyweds bought a house in Greenville and soon after had their first child, a son, James Maurice. Two years later, their second son, Terrence Kevin, was born. A job change for Maurice brought their family of four to Barryton, and it was there that their family was completed with the birth of their daughter, Susan. This was the place Ginny and Maurice called home for 46 years before retiring and moving to Portage to be closer to where Jim and Sue lived. When her children were young, Ginny was a stay-at-home mom. 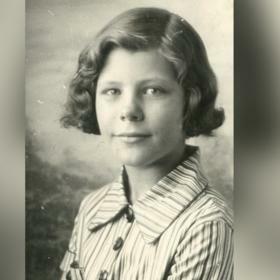 When her kids were older, she headed off to college in pursuit of a degree in speech pathology from Central Michigan University in 1960 when she was 34. Ginny achieved an undergraduate and master’s degree in just three-and-a-half years, all while raising her young family at the same time. There were many a night she could be heard tap-tapping of her typewriter well into the wee hours of the morning because it was the only time she had to study. Ginny graduated from college the same year Jim graduated from high school. She then secured a job teaching speech therapy to young elementary children with the Mecosta-Osceola Intermediate School District. Ginny soon became part of the speech therapists “sisterhood” with Portia, Marcia, Marilyn, Lynn, and others. These ladies had such fun together over a span of 24 years. Throughout her life Ginny’s greatest joy was found in her family. Although she treasured being a wife and mother, there was nothing that was sweeter than becoming a grandmother. Ryan, Brett, Landon Lindsay, Ashley, Kimmie, and Alysse were each recipients of her special love. She played an important role in each of their lives, and together they made precious memories.  During their retirement years, Ginny and her husband wintered in New Port Richey, Florida, where they could spent time with Terry and his family. Then later, it was the great-grandchildren who brought such joy to her life. The giggles and smiles she got from Liam, Macy, and Una mare her life complete. 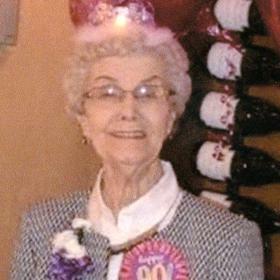 All who knew Carolyn Virginia “Ginny” Coady would agree that she was truly beautiful on the inside and out. She was small in stature, but the impact she made in the lives of all who were near was significant. Ginny never met a stranger, and her concern was always for everyone else first and foremost. With an insatiable thirst to learn, move, and love, she lived fully in each moment she was given. Deeply loved, Ginny will be forever missed. Carolyn Virginia (Ginny) Coady passed away March 4th, 2018. 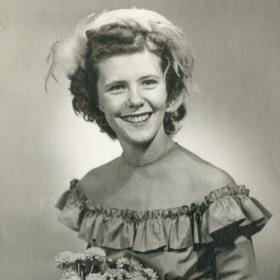 Ginny’s family includes her husband, Maurice; son Jim, (Kathy) of Paw Paw, Michigan; son, Terry (Laurie) of Tarpon Springs, Florida; and daughter, Sue (John) of Scotts, Michigan; seven grandchildren; Rayan (Noreen) Thomas (MI), Brett Coady (FL), Landon Coady (FL), Lindsay Dodd (Kevin) (FL), Ashley Smith (Nate) (CO), Kim Hawkins (Dan) (IL), Alysse Thomas (MI); and (3) great-grandchildren, Liam & Una Thomas and Macy Dodd. She was also a gramma to special family friends. “The Johnsons” who held a special place in her heart.